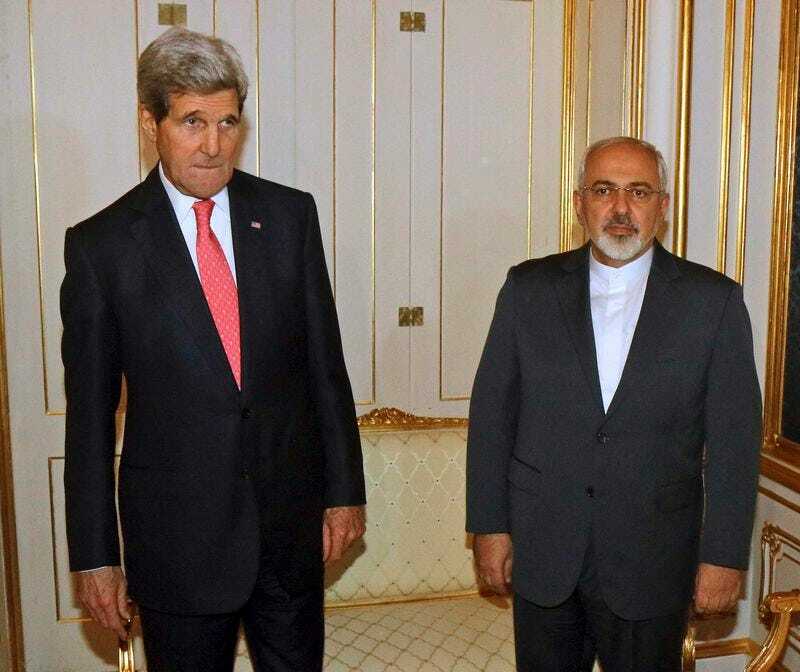 Thomson ReutersUS Secretary of State Kerry and Iranian FM Mohammad Javad Zarif in Vienna. Iran and six world powers are expected to break off negotiations on Monday and meet again next month after missing a deadline to clinch a final deal to resolve their 12-year standoff over Tehran’s nuclear ambitions, diplomatic sources said. Details about the resumption of negotiations were still being worked out, though one source said on condition of anonymity that Iran could not expect any new sanctions relief for the time being. Possible venues could include Vienna and Oman, one of the sources said, though nothing had been decided. “Given progress made this weekend, talks headed to likely extension with experts and negotiating teams reconvening in December at a yet-to-be-determined location,” a Western diplomat said in an email. The diplomat declined to be identified. The deadline for a deal, agreed in July when the two sides missed an earlier target date, was Monday. The talks in Vienna aim for a deal that could transform the Middle East, open the door to ending economic sanctions on Iran and start to bring a nation of 76 million people in from the cold after decades of hostility with the West. The cost of failure could be high. Iran’s regional foes Israel and Saudi Arabia are watching the Vienna talks nervously. Both fear a weak deal that fails to curtail Tehran’s nuclear ambitions, while a collapse of the negotiations would encourage Iran to become a threshold nuclear weapon state, something Israel has said it would never allow. Some Iranian media have also reported on the possibility of an extension of the negotiations. Sources close to the talks told Reuters a formal extension of an interim deal agreed a year ago in Geneva was being discussed though it was unclear how long the negotiations would be prolonged. A formal extension of the negotiations would likely require new commitments on both sides — additional limited sanctions relief for Iran and new commitments on curbing nuclear work. US Secretary of State John Kerry and Iranian Foreign Minister Mohammad Javad Zarif were meeting with counterparts from Britain, France, Germany, Russia, and China in what could be the final session of the current round. It became increasingly clear during a week of intensive negotiations that what officials close to the talks had been predicting privately for weeks would most likely be correct: Barring a last-minute decision by Iran to compromise, a final deal was still too far off to hammer out by the deadline later Monday. If the two sides reach a deal after a one-month adjournment, it would still be before the coming change in US Congress, where hardline Republicans will dominate both houses in January. Hawkish US lawmakers have threatened to push for new sanctions on Iran if there is no concrete progress in the talks. Some Western officials have described two possible options for a likely rollover. Under one scenario, described as the “stop the clock option,” the talks would simply break off and experts would reconvene in a few weeks. A lengthier option would be a formal extension into next year, adding new elements to an interim accord from last year.